Payroll processing is a game of chess… one wrong move can might as well be your last move. 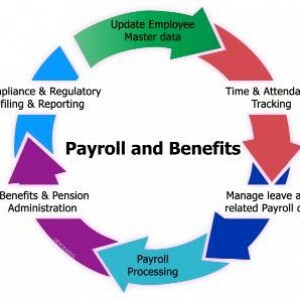 Putting Payroll in place is therefore not just necessary but critical to overall functioning of your organization. Payroll process has a direct and substantial impact on total revenues. Whatever be the nature of business, there is always a fear of incurring severe financial penalties for misfiled taxes due to misplaced or erroneous information. Complex statutory taxation legislations and lack of subject knowledge can make payroll management a cumbersome task. Can any changes in income tax or statutory by laws be automatically integrated with company Payroll? And more such questions are easily addressed with a HR Bangladesh Payroll Management System in Bangladesh. Our Payroll Software is a plug-and-play model, allowing companies to tackle the Payroll bull with horns. HR Bangladesh Payroll Management solution is automated and easily deploy-able. 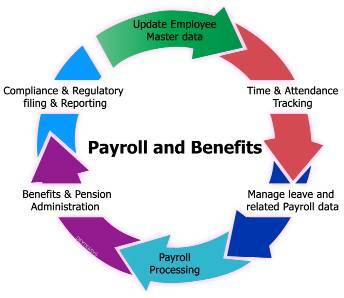 In conjunction with the Attendance module, HR/Finance can process payroll in no time. With HR Bangladesh Leave Management System, managers can plan and track shifts and build in effective work implementation. The employees can benefit from accurate overtime calculation and reimbursements. Moreover, with all employee information stored in one place, and on cloud, salary processing is designed to be smooth sailing. With a completely integrated and secure cloud based platform, HR Bangladesh enables you to generate payroll reports from anywhere, at any time. As and when taxation rules and regulations are updated by the Bangladesh government, we not only take the onus of making those changes in our Talent Management Solution for our customers, but communicate the same to all our clients immediately. HR Bangladesh facilitates error free Payroll Management on an intuitive and easy-to-use platform. We have integrated necessary security parameters to ensure that all your employee payroll related data is safe. With HR Bangladesh Payroll Management Solution, you can smartly manage employee salaries, paycheck, expense reimbursements, investment proof checks and exemptions, retirement compensations etc. What more, HR Bangladesh Payroll Management pulls data from necessary touch points, including Travel and Expense to ensure all data processed is correct. And that’s because we understand that competitive market scenarios are dynamic and compelling. Organisations need focused time for core business strategy, business expansion and innovation and not worry about trivial yet critical payroll processing. We supplement uninterrupted growth for businesses, with smoother functioning and speedier human capital management with our payroll service.